One of the main reasons people prefer WordPress over other platforms is the flexibility and extensibility it offers. In addition to being an open-source platform, WordPress also comes with thousands of free and premium plugins that extend functionality and take the experience to another level. WP plugins make it easier for users to add and extend functionality, but with so many options, it often becomes difficult to choose the best and know just how many you should install. But there are a few plugins that every WordPress user should be aware of and this post discusses those essential plugins that add useful functionality to the vanilla WordPress installation. It’s not easy to recommend the best WordPress plugins as it depends on the kind of website you are running and the niche being served. There are a few basic and essential plugins that work well for most websites and make it easier for users to manage things. Improving SEO, security and analytics are some of the basic reasons why people install WP plugins as they help achieve more with little effort. Most of the plugins discussed here do not require coding experience and work great even for the beginners. That’s why we strongly recommend using them to enhance functionality, improve security and make a good site great. 2 How to Select WordPress Plugins? WP plugins are like beginners dream come true as they allow them to make the most out of WP installation. It’s not easy for starters to enhance security, speed and SEO of the website, but WP plugins make the process painless and significantly reduce the work required when doing things manually. The problem starters often face is the huge number of WordPress plugins (around 50,000!). You name the feature or a function and there is a plugin already available for it. In many cases, you’d find so many plugins for the same feature/function that it becomes a daunting task to select the one that works best for you. Many plugins are available as fermium i.e. they offer all the basic functionality for free and you can pay to upgrade to premium features. How to Select WordPress Plugins? Choosing the WordPress plugins that really work for your website is mostly a hit and try thing, especially for beginners. But there are a few basic guidelines you can follow to make the most out of them. The most important thing is to note down your requirements and compare them to the features a plugin is offering. Although there is no shortage of free plugins, it’s recommended to go the paid route as you are more likely to get official support this way. Premium plugins are also more thoroughly tested before release and are updated on a regular basis. Whether you are using a free or paid plugin, it’s best to try them in a test environment before using them with a live website. This would allow you to figure out any issues or incompatibilities they may cause. There may be certain cases when all the required features are not offered by a single plugin. In such scenarios, you can select a plugin based on your own priorities or choose two or more different plugins that can work together to deliver all the desired features/functions. Searching a plugin is a quite straightforward and simple process as WordPress plugin directory provides you with access to thousands of plugins. However, WP plugin directory search does not work like Google and requires you to input relevant keywords. Most users find searching a plugin through Google easier than searching it directly in the WP directory. If you have some spare time, you can also start browsing different categories such as ‘most popular’. In most cases, you should be able to find a good plugin on the first two pages of each category, but you can also search for them using keywords if you cannot find the features you are looking for. When searching, it’s better to search by relevancy otherwise you might not be able to have a look at all the results due to time constraints. Having a look at the plugin description, support overview, compatibility information, screenshots, FAQs, reviews and rating, number of downloads, last updated and more information should give you a basic idea of how good a plugin is. This information also helps you compare different plugins and makes it easier to select the better ones. Using poorly-coded plugins can have devastating consequences as they usually do not follow WP coding guidelines. Using them can result in slow page loading, overloaded servers and a variety of other issues. That’s why it’s recommended to thoroughly test a plugin before using it on a live website. If you are experiencing an issue with a plugin, deactivate it (or other incompatible) plugins and try using the default WP theme until you figure out the issue. Contacting the plugin creator is your second option, but they may take their time to get back to you with a solution. Premium plugins are more thoroughly tested than free ones and offer better compatibility. They also usually don’t cost much and it’s better to invest a few extra bucks to avoid incompatibilities and performance issues. Let’s get started with some of the most widely used and essential plugins that every site owner should have, including SEO, speed enhancement, analytics, search, security and anti-spamming plugins. Managing SEO for every single page is not an easy thing to do and it takes a lot of effort and time to do it manually. 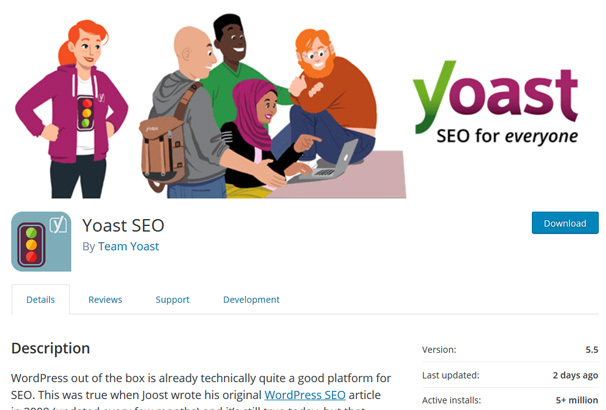 Yoast SEO makes the task easier and provides users with the tools they need to ensure better and more search engine optimized content. The plugin guides users through the process and aims for sustainable SEO. That’s why it’s no surprise that it’s one of the most popular SEO plugins that help get more visitors from Google and Bing. It’s available as both free and paid version, which costs $89 per site and is worth every penny. The premium version supports up to five keywords per page (free plugin only optimizes one keyword/page), while it also supports Google, Twitter and Facebook page previews (free only supports Google preview). There are also no ads in the premium version, which obviously results in a better user experience. NOTE: It’s highly recommended to block search engines from indexing categories, tags and date archives. This helps avoid post duplication and ensures that search engines only index quality pages. You can do so while setting up Yoast SEO (or later through settings) by checking the ‘no index’, ‘hide’ and ‘follow’ checkboxes. 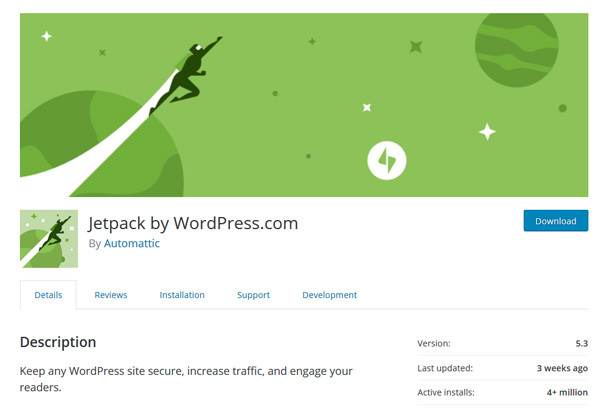 Jetpack combines some great features and is backed by the same people behind WordPress. It brings a lot to the table, including security and performance enhancement features, image optimization, traffic growth, look and feel and more. The enhanced distribution tools share published content automatically to 3rd party services, including search engines, while the built-in site-map creation tool also comes handy. It enhances security and helps prevent brute force attacks and also monitors and instantly notifies about issues related to downtime. Although the free version offers a lot of features, users who need search engine optimization tools, advertising program, spam filtering, malware and threat scanning, site backup and restore, high-speed HD video hosting and an ad-free experience can opt for the paid version that costs $3.5/month (or $39/year). The paid version also includes priority support and more than 100 starter themes. 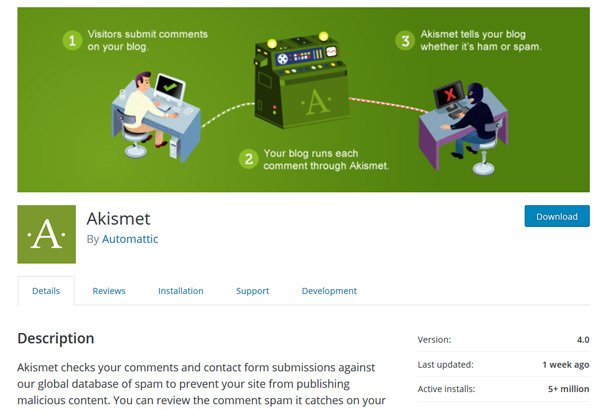 Akismet is one of the default WordPress plugins and serves as an anti-spam filter that analyzes comments and filter out spam. It notifies users when a spam-like comment is detected and provides a status history. Monthly plans are available for commercial sites and include advanced features and more robust security options. Pricing for the paid plugin starts from $5/month/site, while the enterprise plugin costs $50/month for unlimited sites. The plugin uses advanced learning technologies to help users fight spam and constantly evolves to offer better anti-spamming capabilities. 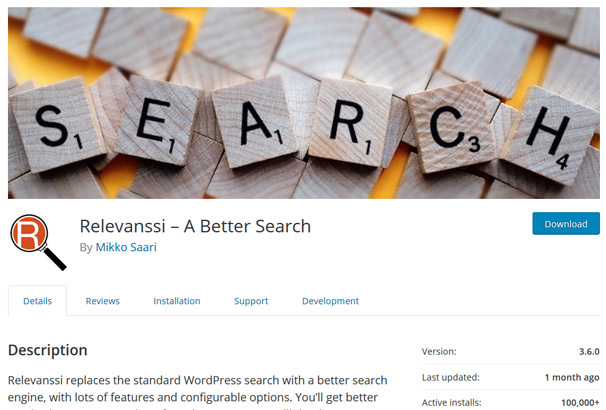 If you want more features and customization options than the default WP search, Relevanssi is a great option. Not only if offers better search results, it also presents them in a better way and enhances user experience. The free version works extremely well but there is also a premium version which includes a lot more features such as multisite support and costs $49.95 for personal sites and $79.95 for commercial sites. Both plans support unlimited sites and include one year free upgrades and support. The lifetime license is also available for $219.95 and includes lifetime upgrades and support for unlimited sites. 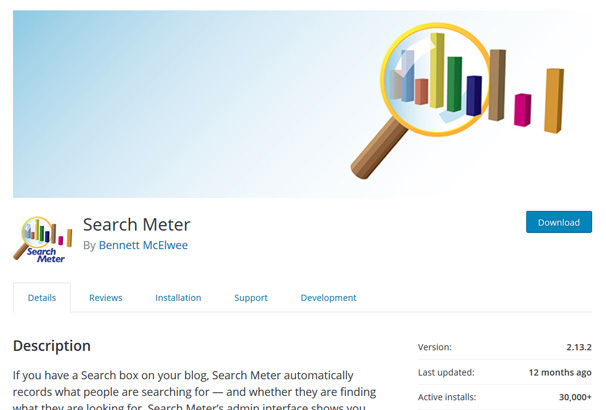 Search Meter is a plugin primarily meant for those who already have a search box on their blog. The plugin keeps a record of what people have been searching and the phrases or keywords that returned no results. This can prove to be very helpful in identifying potential keywords, while search statistics help manage information more efficiently. This allows site owners to give searchers what they are looking for by writing posts based on the keywords they have been searching. The plugin also provides the option to show visitors the most common or recent searches using a configurable widget. This plugin is meant to increase performance by generating static HTML files from relatively heavier dynamic files. The plugin displays the static HTML file instead of PHP scripts and will drastically speed up your website and will especially help websites which are on shared web hosting, if you are using a Managed WordPress hosting provider such as WPEngine, these hosts will often provide their own caching plugin or solution so you should check with them before using it as it may interfere with their system. 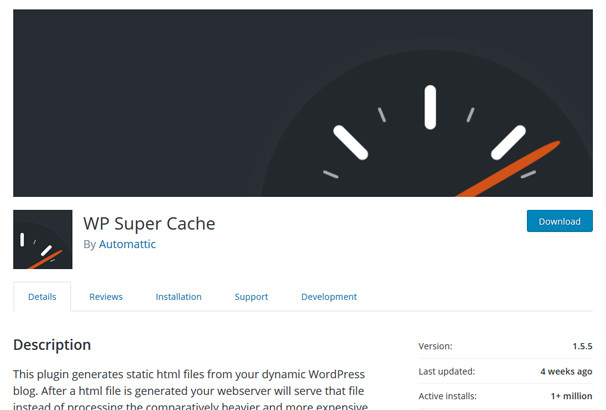 Every single WordPress website should use a caching plugin, there are premium plugins available but for free this one does an extremely capable job and you will notice the benefits immediately. 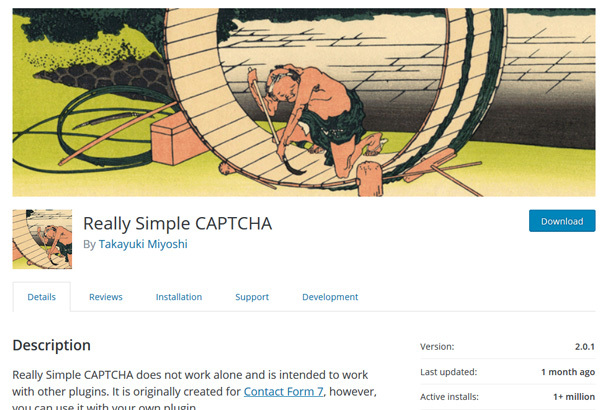 As the name implies, if you are looking for a basic and easy-to-use CAPTCHA plugin, then this plugin would get the job done. However, it does not offer a lot of functionality and security features, and you have to look elsewhere if that’s your priority. The plugin focuses on users who just want a hassle-free CAPTCHA plugin without worrying about potential conflicts and incompatibilities. The CAPTCHA’s are also fairly simple and do not require any brain power from visitors. 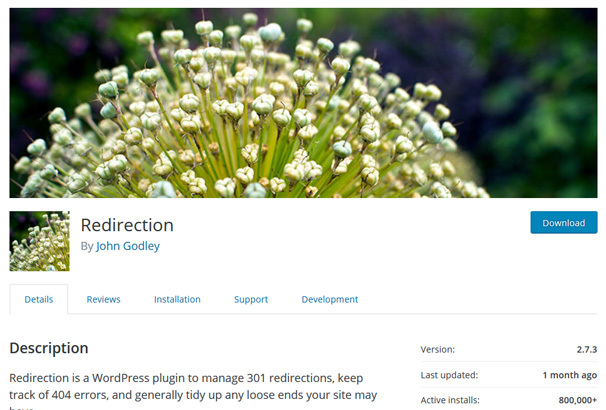 Redirection not only helps manage 301 redirections and 404 errors in a better way, but it’s also very effective while migrating from an old site or changing the WP installation directory. It also acts as an effective affiliate link cloaking and management system. The plugin is available for free and features 404 error monitoring, custom pass-through, WP CLI support, login-status/referrer/user-agent based redirects and universal redirects (also redirects pages that exist). Redirection stats show redirection count, time and other important information, while the plugin is also available in different languages and is fully localized. 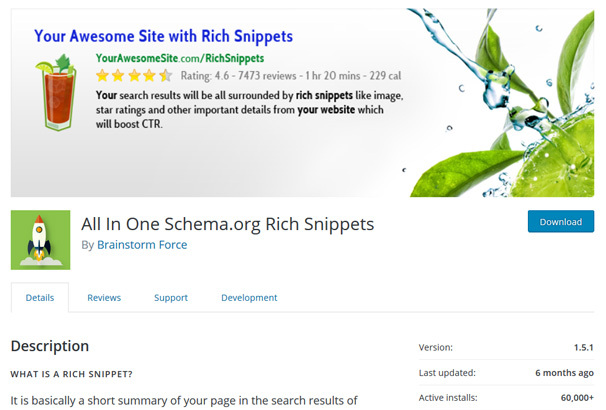 Rich Snippets plugins provide search engines with concrete and precise information to display in result snippets and help sites stand out from the crowd. The snippets include photos, rating, author, price and other important information and are very effective in grabbing reader’s attention. Rich snippets help readers decide whether the information inside is helpful without actually opening the page. The plugin supports a variety of Schema types, including review, people, event, recipe, product, app, articles and video, while books, local business and breadcrumbs are expected in the future releases. Images are a great asset of any blog and essential for an engaging visual experience. But they can take quite some space in the long run and you may eventually run out of server storage space (especially if you are on a budget plan). 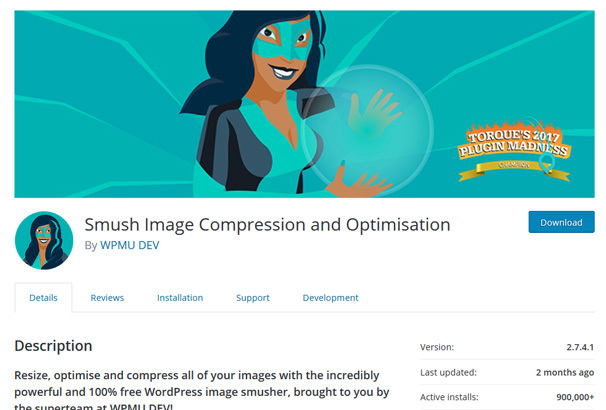 WP Smush helps deal with the issue by compressing images without reducing quality. It supports JPEG, PNG and GIF formats and optimizes them using advanced compression tech. The plugin can be used to auto-compress all the uploaded images, while users can also Smush images manually.